THREE COINS MINTED IN RUSSIA IN 1993. 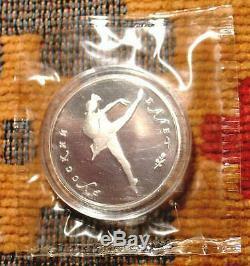 ALL THREE RUSSIAN BALLET COINS IN UNTOUCHED CONDITION! 5 AND 10 ROUBLES - IN PROOF AND VERY RARE 25 ROUBLES - IS MINT STATE. FIVE AND TEN ROUBLES , STILL IN ORIGINAL BANK SOFT AND HARD SHELL PROTECTIONS! 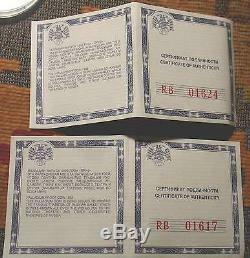 THEY ALSO HAVE ORIGINAL BOXES AND CERTIFICATES OF AUTHENTICITY. 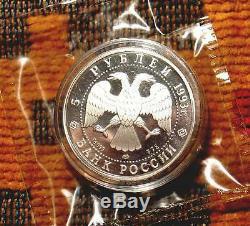 TWENTY FIVE ROUBLES COIN , COMES WITH ONLY HARD SHELL PLASTIC PROTECTIVE HOLDER. AND LIKE I SAID - ITS UNTOUCHED AND NEVER OPENED! 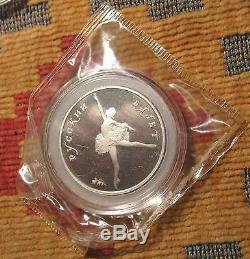 MINTAGE FOR ONLY THIS COIN - ONLY 3000 COINS! 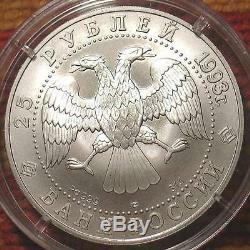 FIVE ROUBLES GOT QUARTER OF OUNCE , TEN ROUBLES - HALF OUNCE AND TWENTY FIVE ROUBLES - ONE OUNCE OF PURE RUSSIAN PALLADIUM! THIS IS MY LAST 1993 SET. GREAT ADDITION TO YOUR COIN COLLECTION! YOU, LL LOVE THIS , MIRROR LIKE BEAUTIES! IN REALITY - LOOKS MUCH BETTER , THEN ON PICTURES! 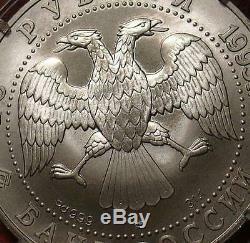 RUSSIAN NUMISMATIC IS VERY HOT FOR RARE COINS! COIN MARKET ON BIG RISE NOW! NICE AS A GIFT - FOR ANY ONE , INCLUDING YOUR SELF! VERY NICE AS A GIFT FOR FATHERS DAY! PLEASE, VISIT OUR OTHER AUCTIONS BY CLICKING HERE. 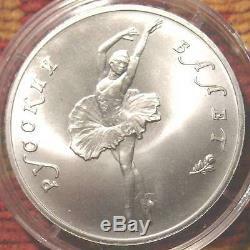 The item "RUSSIAN 1993 PALLADIUM PROOF MINT 3 COIN SET USSR SOVIET BALLET SOVIET RUSSIA" is in sale since Friday, May 5, 2017. 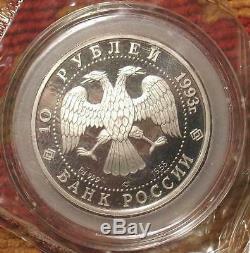 This item is in the category "Coins & Paper Money\Coins\ World\Europe\Russia\Federation (1992-Now)". The seller is "collectresale" and is located in Brooklyn, New York. This item can be shipped worldwide.